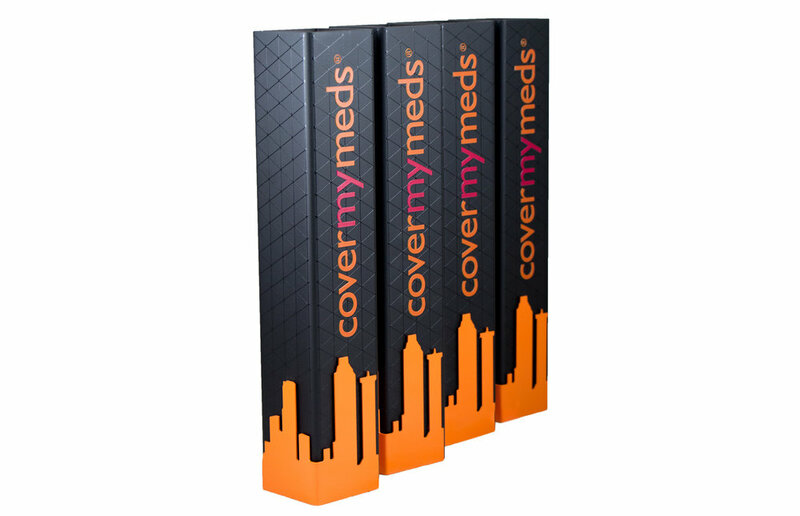 These bespoke corporate trophies for Cover My Meds in the USA were designed with a clean modern aesthetic to reflect the company's branding and vision. 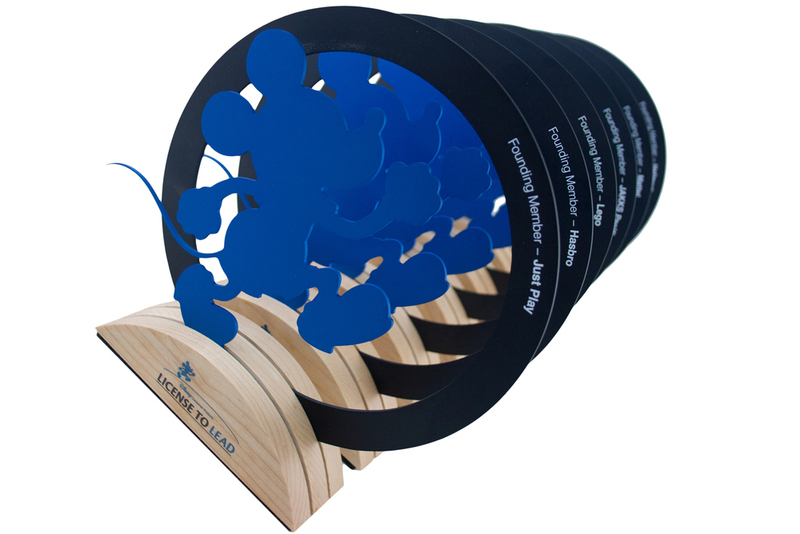 Similar designs are available in our trophy shop and can be completely customized to suit any brand or corporate event. Tangerine orange powder coated aluminum building wrap. UV flatbed prints including a clear gloss sub-graphic.